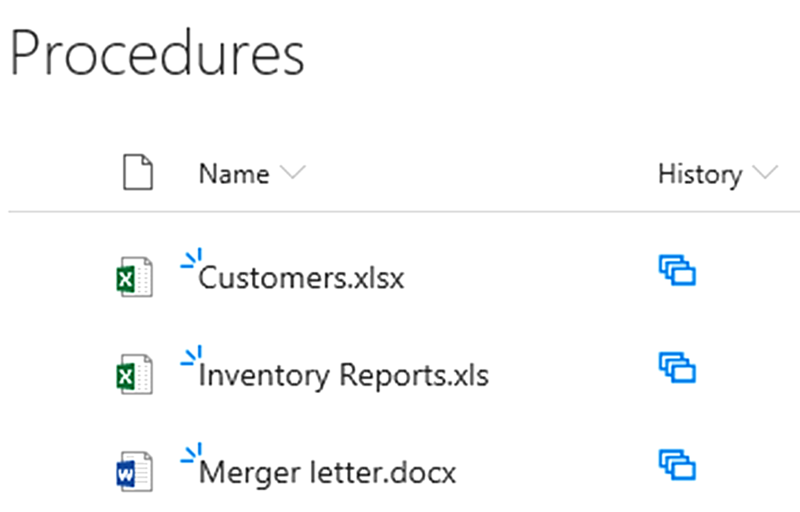 Data in Title columns is prioritized in the SharePoint Search, but in many library documents the titles are inaccurate or not filled out at all. In two articles in the kalmstrom.com Tips section, I describe how to create workflows that set the title of a new library file to the same as the file name. When you create a new list item, you cannot save it until the 'Title' column has been given a value. Therefore most users learn to fill out this column with relevant information in lists. When you create a new file in a SharePoint library, there is however no such compulsion. On the contrary, the title field is rather hidden to users. To enter something in the title field, they actually have to edit the file properties, and how many users do that? In SharePoint searches, the title field has the highest rank of all, so that is where SharePoint starts to search. Hits in the title also comes first among the results. If the title column is empty, the file name becomes prominent. Imagine how the SharePoint library searches will work if users leave the title empty and don't change the default file name, Document, Book or Presentation! If users have learned to give library files relevant names, an easy way to solve the title problem is to let a workflow set the value in the Title column to the same as in the Name column. The solution is not optimal, but it is better to have the file name in the title column than having it blank. If you just want to try the set title workflow in one library, you can create a list workflow. I show how to do that in the demo below. The list workflow only works for one library. If you want to set the title to the same as the name in another library, you have to re-create the workflow for that library. Another option is to create a reusable workflow connected to the document library content type. Unfortunately SharePoint 2013 workflows cannot be associated with a specific content type, so this reusable workflow must be a SharePoint 2010 workflow. In the demo below I show how to create such a reusable workflow and how to connect it to the document content type. In the Tips article about the reusable "Set Title" workflow, I give step by step instructions for the whole process. I also show how you can apply the workflow on existing files. The method I suggest can be used whether you have chosen a list workflow or a reusable workflow. Do you prefer to use Microsoft Flow? In that case, I have a Tips article on that also. Refer to: how to create a flow that sets the title to the same as the file name in SharePoint document libraries. Today, I am happy to announce the release of a new kalmstrom.com product, Document Tagger. The solution analyzes documents in SharePoint libraries and suggests keywords and metadata for tagging. It supports Word.docx, PowerPoint .pptx, Excel .xlsx, PDF and text files. Understanding human language is one of the most difficult things for a computer to do, but thanks to neural networks, artificial intelligence and machine learning the algorithms are rapidly getting better. Now the kalmstrom.com team is releasing a Microsoft SharePoint product that takes advantage of these technologies to make document categorization much simpler. Document Tagger uses Google Cloud Natural Language for document analysis. Google Natural Language gives natural language understanding of human language. This means that it analyzes the text based on, sentiments, entities, entity-sentiments, linguistic information and content classification. The algorithms used for the analysis are part of Google’s machine learning and artificial intelligence capabilities. This makes Document Tagger the first kalmstrom.com product that uses artificial intelligence. Despite the complex technology behind Document Tagger, the product is very easy to use. The document tagging is quick, as you can tag not only one but multiple documents in one go. Document Tagger adds a ‘Tag Document’ button to SharePoint document libraries. When you select one or multiple files and click on this button, Document Tagger analyzes the content and suggests 15 keywords for each document. Google Natural Language performs a semantic analysis of the document(s), but even if its word processing engines are continuously improved, I recommend that you review the suggestions before applying them. To make the review quick, the keyword suggestions have checkboxes, so that you can uncheck the suggestions you find irrelevant. You may also add your own tags. Once you are done, click on ‘Apply tags’ to save. Document Tagger adds all tags to the Enterprise Keywords. These are centrally stored in the Term Store and used in the SharePoint Search. The Enterprise Keywords are also available as suggestions for the whole farm or tenant. The tagging with metadata helps the organization to take full advantage of SharePoint’s metadata driven Search feature. You can also filter documents by tag and create SharePoint views for certain tags. Document Tagger has been released in two SharePoint editions: Sandboxed and Add-in/App. 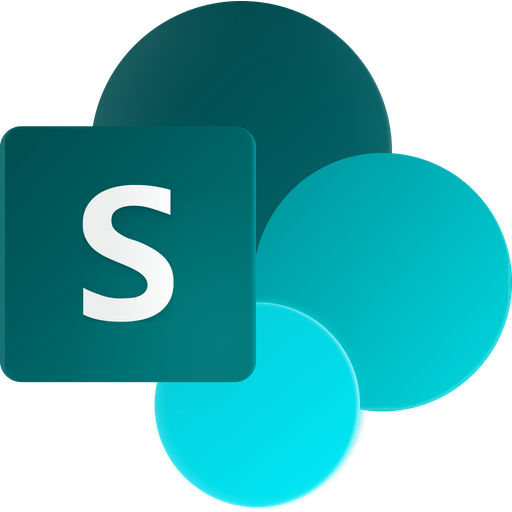 The sandboxed solution is uploaded to the root site of a SharePoint site collection and activated for all the sites where it needs to be used. The Add-in/App edition is instead added to the organization’s Add-in/App Catalog to be made available to the whole farm or tenant. It can then be added as an app to the SharePoint site where it needs to be used. From next week, the Add-in edition of Document Tagger can also be installed from SharePoint Store. Both SharePoint editions of Document Tagger can be downloaded from the kalmstrom.com website. You are welcome to evaluate the full version for 30 days without any obligations. Document Tagger is straightforward software to work with, but we provide full support during the evaluation period in case you need assistance. To understand the Document Tagger possibilities, I recommend you to study the manual and the video demonstrations by our CEO and Systems designer, Peter Kalmstrom. If your organization is looking for a solution to make document tagging quick and enhance the SharePoint Search, you should go for Document Tagger. The solution is licensed with a subscription on a monthly or yearly basis. Don’t hesitate to contact our Sales department, in case you have any queries regarding the subscription. Would you like to have a button at each library file that quickly takes you to the document's version history? Or somewhere else? I have recently published a kalmstrom.com Tips article on how to create a workflow that adds a version history button to each new file in a SharePoint document library. Similar buttons can of course be used for other things than the version history. The SharePoint version history is a useful feature that I always recommend customers to keep enabled. It is on by default in document libraries, but in other SharePoint lists you have to enable it. In the version history, you can see who changed each document or list item and when the changes were made, and if necessary, you can also restore earlier versions of items and files. To see the version history in a SharePoint document library, you must select a file, click on the ellipsis and go to ‘Version History’. If you often use the version history, it would of course be easier to just click on a button to reach it. The workflow I suggest runs when a new file is added to the document library, and it adds a small image that is linked to the new file's version history in a separate column in the library. We need to use HTML code for the version history button, and therefore it must be placed in a column with enhanced rich text. SharePoint lets us use enhanced rich text in multiple lines of text columns, but if you create the new column in SharePoint, you can only get the rich text in lists, not in libraries. To have a multiple lines of text column with enhanced rich text in a document library, you must create the column in SharePoint Designer. Therefore, I show how to create such a column in my demo below before I start with the actual workflow. 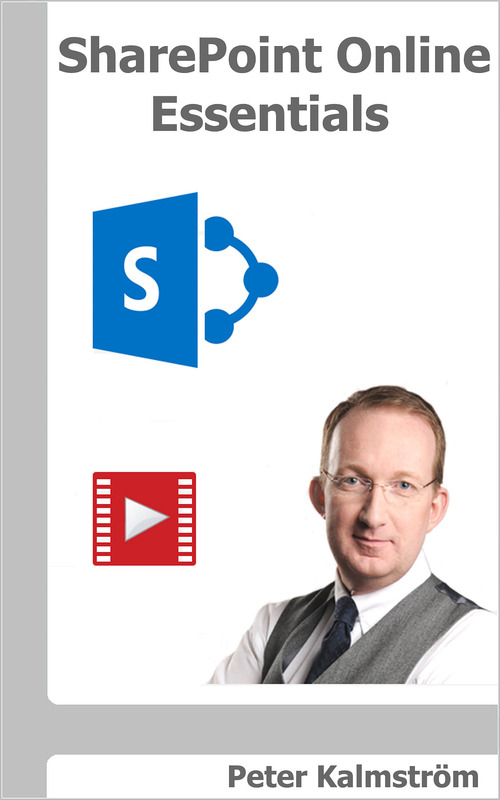 The Tips article and the demo is created for my new book, SharePoint Workflows from Scratch, that I hope to release on Amazon at the end of this month. Indore has been elected India's cleanest city in 2018, among 4203 inspected cities. My congratulations to all who live Indore, among them our Indian team members! In 2014, the Indian government launched the Swachh Bharat Mission (Clean India Mission) to enhance the nation's hygiene, waste management and sanitation. A "cleanest city" contest is part of the campaign, and Indore was number one in 2017 – and again in 2018! Now the city is hoping for a hat trick in 2019! Garbage collection: All garbage bins have been taken away. Instead there is door-to-door garbage collection every day. Garbage is collected from shops in the evening, and markets are cleaned at night. The garbage collection is performed efficiently with the help of specially designed software and GPS. It is supervised from a control room where the operators have direct contact with all truck drivers. Garbage processing: Wet garbage is used for compost making. Robots sort the dry garbage in 27 categories. What cannot be sold to recycling is converted into fuels. This means that everything is taken care of, and no more dumpsites will be necessary. Education: People have started carrying small dustbins in their cars to collect their garbage. Use of plastic is discouraged. Teachers and parents have educated children about the dangers of littering, and an eighth pledge has been added in the wedding rituals: and oath of cleanliness. The Indore inhabitants have not only received a cleaner environment. Around 100 acres of old dumpsites have also been reclaimed and transformed into gardens and woodlands that further enhance the city. We have had a kalmstrom.com office in Indore for the last 10 years and during my many visits to the city I have seen continuous improvements. Indore shows how a combination of high technology and education can achieve stunning results, and I hope that many other cities will follow the example! In February 2009 I hired a young but very capable developer for the kalmstrom.com products. Today he is my friend and business partner, and I owe him a lot. His name is Jayant Rimza, and since 2010 he has been the director of the kalmstrom.com Indore office. In 2009 we still hired our few Indian employees through a partner who had his interest in kalmstrom.com as a side hobby. That worked well in the beginning, but as the demand for the kalmstrom.com products grew, we wanted something that would give better control, more dedication and an enhanced team feeling. After some time, I realized that Jayant Rimza was the right person to build the qualified team we needed. He was also eager to try, so we decided to start on our joint adventure. At that time, the kalmstrom.com portfolio had only a few Outlook add-ons: Calendar Browser, TimeCard and Folder HelpDesk. However, both Jayant and I had a lot of ideas that we wanted to develop and try on the market. Today I can say that our cooperation has been a success, both on the business level and personally. During Jayant's management, the Indian team has grown considerably and is now more qualified than ever, and we have many more kalmstrom.com products. Most of the younger solutions are created for SharePoint, a Microsoft platform that was rather new in 2009 but where we both saw a great potential. As more customers spread the word about kalmstrom.com Business Solutions, there was a demand for custom solutions and support contracts as well. Today, these services has become an important part of our business. We both appreciate this development, as it makes our work more varied and interesting. Jayant and I get along very well also on a personal level – and I have found an Indian family! Since 2009 I have tried to visit India at least once a year, and the Rimza family has always taken very good care of me. Below I am posing for the camera with Jayant's wife, Sushma, Jayant and their son Atiksh. I have attended several weddings, and I have travelled with Jayant and the team and seen many fascinating places. Two more skilled and dedicated family members have also joined the kalmstrom.com team: Vijayant and Rituka. I chat with Jayant nearly every day, to plan the current custom solutions and future development of the kalmstrom.com products. He often gives good suggestions, but even when we don't agree on how things should be done, we can always discuss in good humour and come to a solution that satisfies us both. I am sure that my prosperous cooperation with Jayant Rimza and the Rimza family will continue many years into the future. It still feels like an adventure!